DAVID: So the big question here is “Is this, finally, at long last, the year Roger Deakins wins his Oscar?” And for once, signs point to yes. His work in Blade Runner 2049 is exquisite. And this isn’t a weak category — Bruno Delbonnel’s Renaissance-painterly images in Darkest Hour were my favorite thing about the film; you can’t entirely count out Rachel Morrison for Mudbound, the first female cinematographer ever, now riding high after Black Panther; and of course, Shape of Water is a threat everywhere. CHASE: Mercifully, Deakins is finally going to win. Not only will he have the whole crowd behind him, but Blade Runner 2049 really is gorgeous. It should be a high point of the ceremony when he finally gets on-stage as a winner on his FOURTEENTH nomination. TYLER: This is an awful bummer, because Shape of Water and (gulp) Dunkirk put in better than Deakins. Blade Runner 2049 is hardly Deakins’ best work, but its evocative, gorgeous and dead at the same time, and you can’t be mad for watching a man as deserving as Roger Deakins win. SEAN: This is going to be another highlight of the evening: finally seeing the legendary and criminally unrewarded Roger Deakins finally collect his little golden statue. Blade Runner 2049was an all-around crafts masterpiece, but Deakins’s work was otherworldly and instantly iconic, managing to feel like a loving homage to the original while blazing its own signature look. Easily the best cinematography of the year. DAVID: Color me as surprised as anyone when I discovered Phantom Thread was the most I’ve ever enjoyed a Paul Thomas Anderson film. That was as much for the sheer artistic craft as for its writing and performances, and few worked harder than Costume Designer Mark Bridges. If he doesn’t win, I’ll riot. CHASE: I want to live in Phantom Thread’s colorful world of perfectly tailored clothes. Is it too on-the-nose to give this award to a film about a fashion house? Perhaps, but another way to see it is that no other film’s costumes meant as much to their production. They’re part of the story here, and not just the icing on the cake. If the costumes had failed, so would have Phantom Thread. Mark Bridges pulled it off beautifully. TYLER: Phantom Thread succeeds on so many other levels it’s really easy to notice how the clothing becomes a character unto itself, informing the decisions of the three main cast members in ways that inanimate objects rarely do. The House of Woodcock fashion line is like an enormous MacGuffin brought to life by Mark Bridges, and it deserves all the accolades that could be heaped upon it. 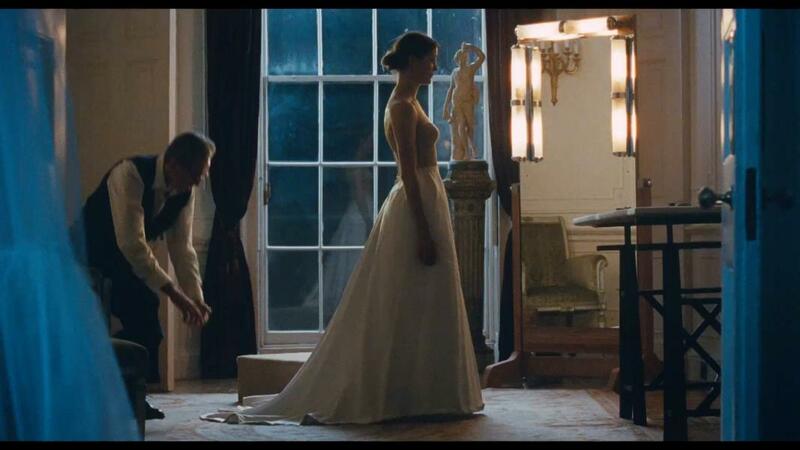 SEAN: Phantom Thread is gorgeous from top to bottom and the costumes are arguably the most important part of the film. Those silhouettes are unforgettable. DAVID: My first thought on this category was “Lady Bird was robbed.” I don’t know why Three Billboards is here, except that it’s a frontrunner, and only ten films in Oscar history have won Best Picture without an Editing nomination. Nevertheless, I have to go with Lee Smith and the ACE-winning Dunkirk, because that film doesn’t work at all if Smith doesn’t nail it (and he should have won for Inception, anyway). The dark horse is my personal pick, Baby Driver, which won the BAFTA and has largely succeeded in shaking the Spacey Stink. CHASE: War films do well in this category, including Hacksaw Ridge which won in an upset last year. My heart is with Baby Driver, but I don’t see Dunkirk going home empty handed. Having won at the ACE Awards, this seems like a smart place to pick it. TYLER: I won’t do it. I just flat don’t think Dunkirk is a well-edited war movie. It’s a confused, Nolan-responsible mess of a timepiece, and doesn’t nearly function as well for it. 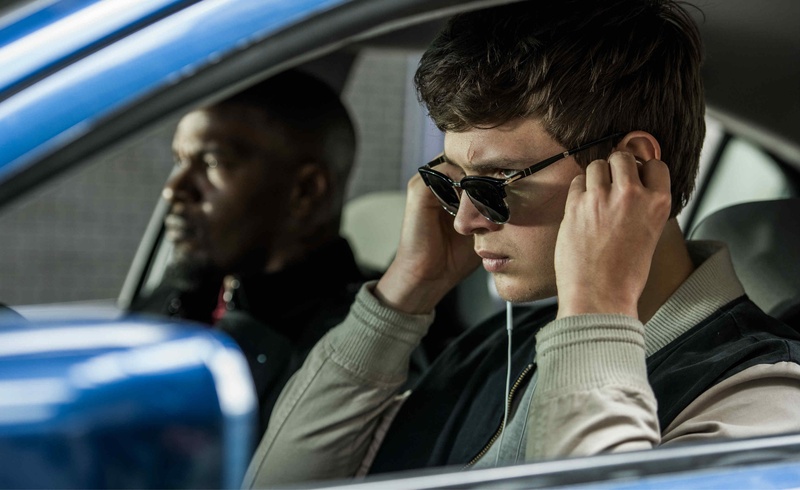 And while the rest of the movie doesn’t really measure up to the last chase or the Best Scene of the Year (Bellbottoms… HUH), on the merits of those two pieces alone, Baby Driver is my pick. SEAN: Baby Driver is the kind of flashy work that awards are made for. Lee Smith should already have an Oscar, so he might take it for masterfully ratcheting up the tension to unbearable levels in land, air, and sea. As evidenced by Tyler’s comments, though, not everyone is on board with Dunkirk‘s converging timeline structure. DAVID: There’s not exactly a clear frontrunner here, but it seems to be between Chile’s A Fantastic Woman, about a transgender woman in Orlando (star Daniella Vega is a presenter on Sunday), and Sweden’s art world satire The Square, which I liked quite a bit. And because I liked it, that’s what I’m picking. CHASE: Ah, yes. For all that “wide open” narrative, we had to get here before finally I break with David’s picks. Acclaimed comedies and satires never really seem to win this award, perhaps getting lost in translation along the way. Just last year the wildly acclaimed Toni Erdmann couldn’t pull off the win. That’s why I’m taking A Fantastic Woman to win this time around. TYLER: So much missed opportunity. Raw, My Happy Family, The Happiest Day in the Life of Olli Maki, Thelma, Okja, Harmonium, After the Storm, In This Corner of the World, Nocturama, Hounds of Love, Lost in Paris, Graduation and Mimosas would all win this running away. The Academy has done of fantastic job of re-energizing this voting block, but the next step on the road of making a truly fair, worldly awards ceremony that represents a majority of cinema is to do away with the “one country, one picture” rule that so drastically hampers movies from France, Japan, and the Middle East. It’s a travesty, and it should be changed. The Square is a mess of an art-world criticism, but it’s more right than wrong, and Oscar likes being made fun of. Begrudgingly, that’s the pick. SEAN: If In the Fade was actually nominated it would have likely won. Without it, A Fantastic Woman appears primed to triumph via the Academy’s younger and more diverse voting block. 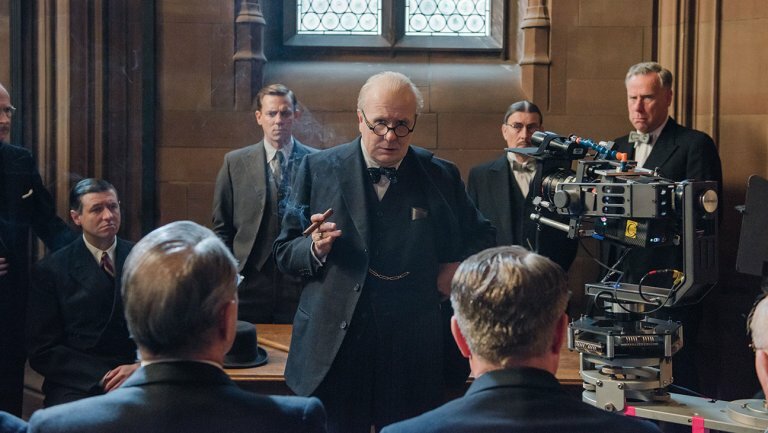 DAVID: One of the night’s lock-iest locks is Darkest Hour here — Gary Oldman said he wouldn’t have taken the role if Joe Wright hadn’t lured wizard Kazuhiro Tsuji out of retirement. Moving on. CHASE: My entire point has been that the makeup and prosthetics were doing the majority of the work in Oldman’s performance, so I pretty much have to give it its due in this category. Darkest Hour should win here, but it always seems like there’s a worthy nominee missing, and this year it’s The Shape of Water. How did it lose a nomination to something like Wonder? TYLER: A friend of mine suggested that a change to the Oscars should be that every category, no matter what, gets no less than seven nominees and no more than ten. While I think that would lead to some pretty wild nominees in farther flung categories (Boss Baby is already a nominee), I think it’s instructive for categories like this, where there’s such confusion about why something like The Shape of Water might be snubbed in a category it was essentially made to get nominated for. In lieu of a better world, Darkest Hour it is. SEAN: This award was a given the moment the first production photo of Gary Oldman was released. Darkest Hour wins this without any real competition. DAVID: The other thing I loved about Phantom Thread was Johnny Greenwood’s marvelous score, and that would have my vote if I could vote. Hans Zimmer’s work on Dunkirk is magnificent, but admittedly polarizing. John Williams is a legend, but The Last Jedi didn’t break a lot of new sonic ground. And Three Billboards…again, shouldn’t really be here. That leaves Alexandre Desplat, and The Shape of Water, as the likely winner. CHASE: You probably don’t even have to write John Williams’ name on the nomination form anymore. It’s already printed there and you just check the box. Desplat is probably winning this award, but you have to take calculated risks if your selections aren’t going to just be chalk. Johnny Greenwood’s score from Phantom Thread was incredible, and I can imagine people remembering that his should-have-won work for There Will Be Blood was ruled ineligible and wanting to rectify it. Plus, maybe the younger voting block wants to see the Radiohead guitarist win an Oscar. TYLER: Just as a quick insert (because I must snark, or else I don’t exist), Hans Zimmer’s score in Dunkirk is a crime. It consistently gets muddled in with the sound mix so that, in the middle of what is being presented as an unflinchingly real war movie, the audience can’t tell what sounds are diagetic and which are Zimmer’s score. It’s a goddamn crime against modern war filmmaking. Johnny Greenwood has been crafting Paul Thomas Anderson soundtracks for the last decade, and hasn’t made a not excellent one yet. Phantom Thread is not his best (ride or die for There Will Be Blood), but it should win. SEAN: Hans Zimmer’s experimental score for Dunkirk is supposed to blend in with the sound mix…that’s kind of the point. It makes the soundscape of the film incredibly unnerving and drives the momentum. But because of all that it is unlikely to win. It’s a tight race between Johnny Greenwood and Alexandre Desplat. In a coin toss I’d have to go with the lush strings of Phantom Thread. DAVID: Fortunately we’re not voting based on Sunday night’s live performance, because my guy Sufjan is going to win that. But as far as the actual category is concerned — and apologies to Greatest Showman heads (you know who you are, you weirdos) — give me Coco, and the song that finds new ways to wrench tears every time it’s used. TYLER: Bravo to Sufjan for getting his “Elliott Smith at the ’98 Oscars” moment, but neither songs are his best work, or his most affecting. 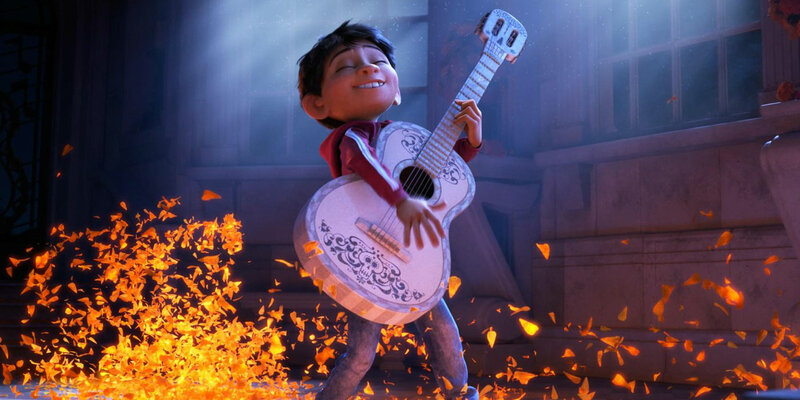 “Remember Me” is a profound cinematic example of exactly what Chase is talking about: songs as storytelling. DAVID: I’m marking this down as another Shape of Water win, though Blade Runner and Dunkirk have shots. Voters will respect how much del Toro’s team was able to accomplish on just $20 million. CHASE: Whew, boy. My heart is with Blade Runner 2049 here, but I’ve only picked the most-nominated film to win one award so far. I can easily imagine The Shape of Water’s “fairytale 1960s” aesthetic appealing to a lot of voters so I’ll go with that. This is the type of category where traditional Oscar-styled fare wins out. I’m disappointed to not see Baby Driver nominated here. TYLER: Nice call out by David on how little Shape of Water cost to make, and how little it cost to make it look unbelievable. It’s got a Bioshock-meets-McCarthy thing going on that nobody has been able to do effectively. Blade Runner is so evocative, but it stumbles on the road to drama and overdoes it in places (Jared Leto’s office seems uncomfortable), so the fishman it is! 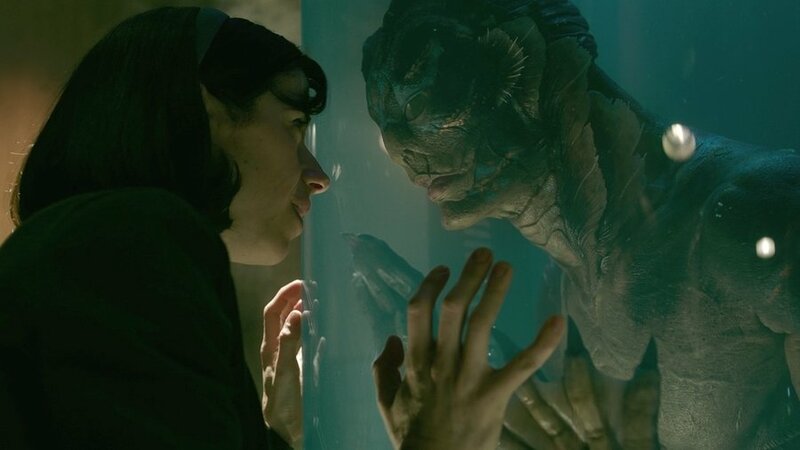 SEAN:The Shape of Water is a gorgeously crafted film and knowing for how little it was made makes it all the more impressive. But no film this year managed the sense of scale, spectacle, and awe that Blade Runner 2049 produced. It’s next-level work. The whole film is, for that matter. DAVID: How boring that these categories are identical! Might as well pick the same winner: Dunkirk, unless Blade Runner is having a Fury Road type of night. CHASE: The rule of thumb here is basically “always pick the war film,” and I will take Dunkirk for sound editing, but music and sound play such a vitally important part in Baby Driver that I’m going to take a flier on it for sound mixing. This, ladies and gentlemen, is how you outsmart yourself on the way to a loss in your staff Oscar pool. TYLER: I’ve already lost with my Majors picks, so I’m going to go sort of off the wall and say Blade Runner 2049 wins editing and Baby Driver wins mixing. Also because, as previously argued, Dunkirk’s sound is by far the weakest part of the movie. 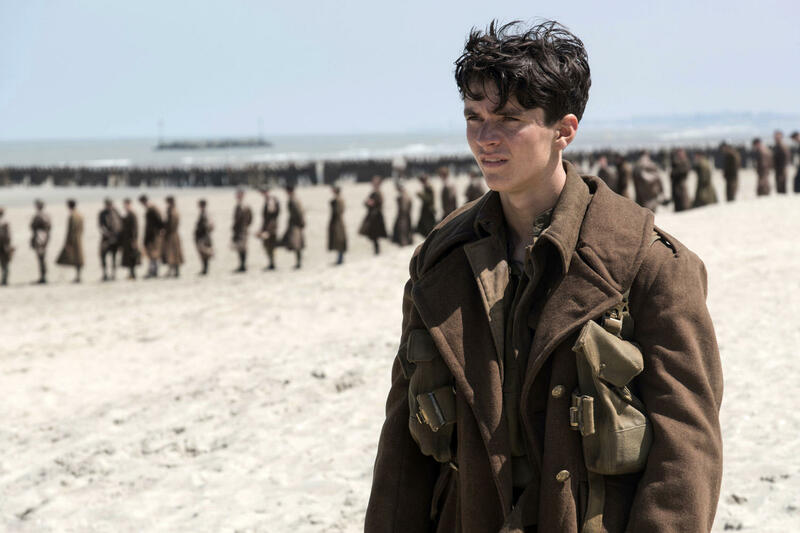 SEAN: Dunkirk‘s sound is ear-splitting, pulse-quickening, and wholly immersive. There’s almost no way it doesn’t win both of these awards (and it does have to win somewhere). Blade Runner‘s soundscape is of equal quality to the rest of its production — it’s flawless. It has the potential to upset should voters Mad Max it through the evening. DAVID: Please please please please Planet of the Apes. Please. This work is miraculous. If you’re never going to nominate Serkis, you’ve got to do this. Time to start making things right, Academy. CHASE: Sorry, David, but it’s got to be Blade Runner 2049. It’s not just 2049‘s obvious digital city-scapes, but the way they combined Mackenzie Davis and Ana de Armas into a single ethereal character for one of the film’s most beautiful moments. 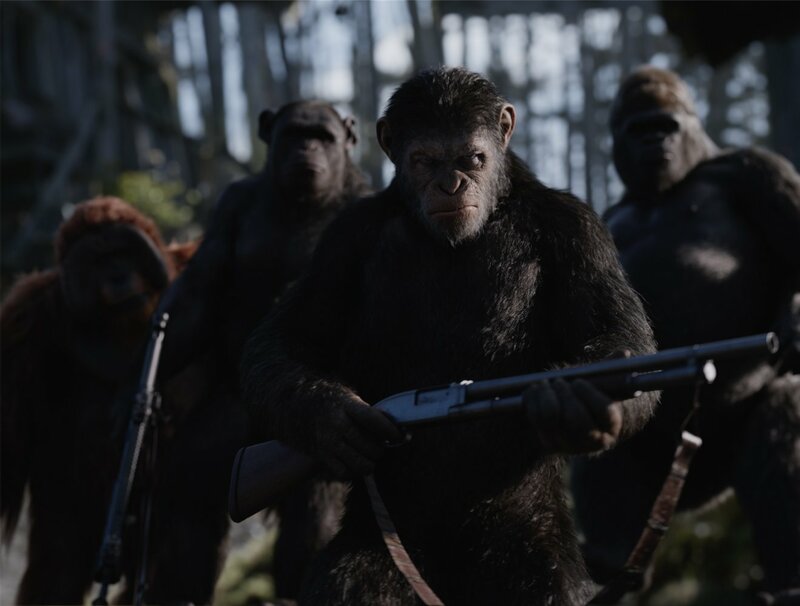 If the Apes franchise couldn’t win for Rise or Dawn, I don’t see why the third outing with the same trick should be the charm. TYLER: Yeah, the “combo-woman” scene, gross male-gazing apologia aside, was essentially Villenueve risking it all for that biscuit. Planet of the Apes will be remembered, same as LOTR, for Andy Serkis’ unbelievable run, but Blade Runner 2049 gets it. SEAN: It is a shame that the Planet of the Apes franchise will never win an Oscar for visual effects, as it was groundbreaking work that improved with every new entry. But Blade Runner 2049‘s visuals are astonishing and blur the line between the practical and the wholly digital. It’s not much of a contest. DAVID: I don’t have a clue, so I’m going to just trust the oddsmakers: Kobe Bryant’s Dear Basketball (your move, LeBron), Heroin(e), and the intensely topical DeKalb Elementary. Chase might be the only one here that’s even a little informed. CHASE: And, finally, here we are: the category that makes or breaks your chances in your Oscar pool. I’ve actually seen all of the shorts, so feel free to consult my guide (as David appears to have done, that coattail-riding jerk). Dear Basketball, The Eleven O’Clock, and Heroin(e) are my picks to win. TYLER: Spent a blessed moment away and got these in, and Chase is exactly right. Dear Basketball, The Eleven O’Clock, and Heroin(e) should win. 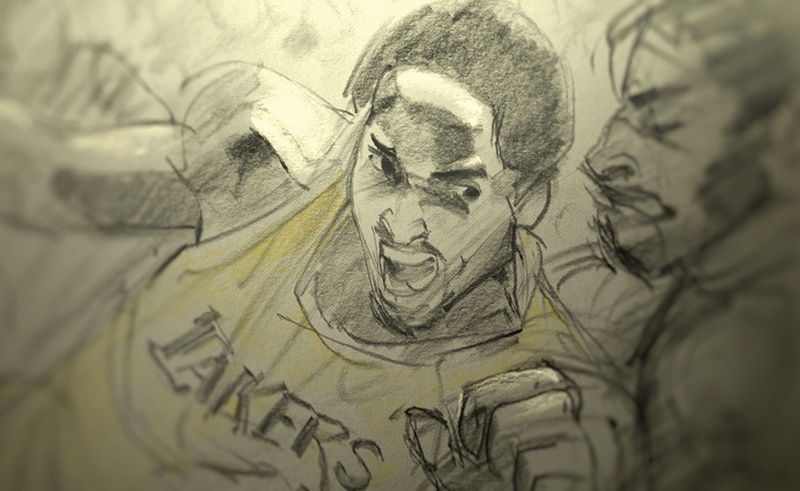 Get that MEGOT, Kobe! (MVP, Emmy, Grammy, Oscar, Tony). SEAN: As always I haven’t a clue, but bless Chase for having us covered. I’m just going to shamelessly steal his picks: Dear Basketball, The Eleven O’Clock, and Heroin(e). Though it would be fun to hear Heaven is a Traffic Jam on the 405 spoken out loud on the Oscar telecast. The final score: David & Chase tie with 18.